Welcome to Perfect Smiles Family Dentistry! Our gentle and competent dentists, pleasant and compassionate staff, all housed within a State-of-the-Art facility will take any previous memories of a painful dental visit and replace it with a dental experience that will keep you as our patient for life! Perfect Smiles Family Dentistry invites you to a new kind of dental experience. Come and watch your favorite show at our lobby while you wait. Or use our internet café to check your email or browse your favorite website. Refreshments are always available and our clean and updated facilities will keep you comfortable and entertained. Once you enter our operatory, you will see that it is like no other. Sit back on our dental chairs and turn on the massage. It is a perfect match for the large 21” flat screens in each operatory. You can watch your favorite cable channel, or choose a movie from our DVD collection while we perform your procedure. Our digital x-rays will minimize your radiation exposure and the use of our intra-oral cameras will show you exactly what your dentist sees, thereby keeping you informed and knowledgeable about your oral health. Our clinical staff is undoubtedly some of the most gentle, efficient and compassionate practitioners around, all of whom vow to put your comfort first. Before you leave, our front office staff will make sure that you are provided several options for payment of your treatment. We are always happy to work with our patients’ budget and we make sure that they do not neglect their clinical needs because of finances. Don’t forget our complimentary toothbrush, floss and toothpaste bag! We will provide one for you at every recall visit. So welcome to our practice! Welcome to our website! Please browse our links, read our reviews, Google our name to see what our patients think of us. Don’t forget to look through and take advantage of our monthly promotions. It is designed to make your treatment affordable. This year, Perfect Smiles Family Dentistry celebrates 10 years in business. During the course of those 10 years, it weathered the pains of a startup, pulled through the Great Recession, and continues to provide ethical dental treatment to now hundreds of families and thousands of patients. We pride ourselves on three main facets – that that staff that we employ and our training for our staff is centered around ethical and compassionate treatment of all patients; that the technology that we use is State of the Art and we keep ourselves up to date with the evolving field of dentistry; and that we contribute to our community and volunteer for social causes whenever we can. We welcome you to Perfect Smiles and are honored to be your treatment provider! Now introducing the One Hour Crown! When we say we are State-of-the-Art, we mean it. Perfect Smiles Family Dentistry is proud to announce the one hour, one visit crown! No more waiting two weeks for the laboratory to fabricate your crown or bridge, only to find out that the shade is off or the fit isn't perfect. No more returning for a second visit and missing out on work or family time. No more messy impressions, mo more temporary crowns, no more temporary bridges! 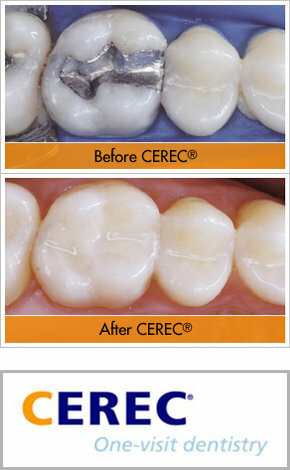 Call us today for more information regarding our one hour crown procedure at the San Ramon Perfect Smiles!! !